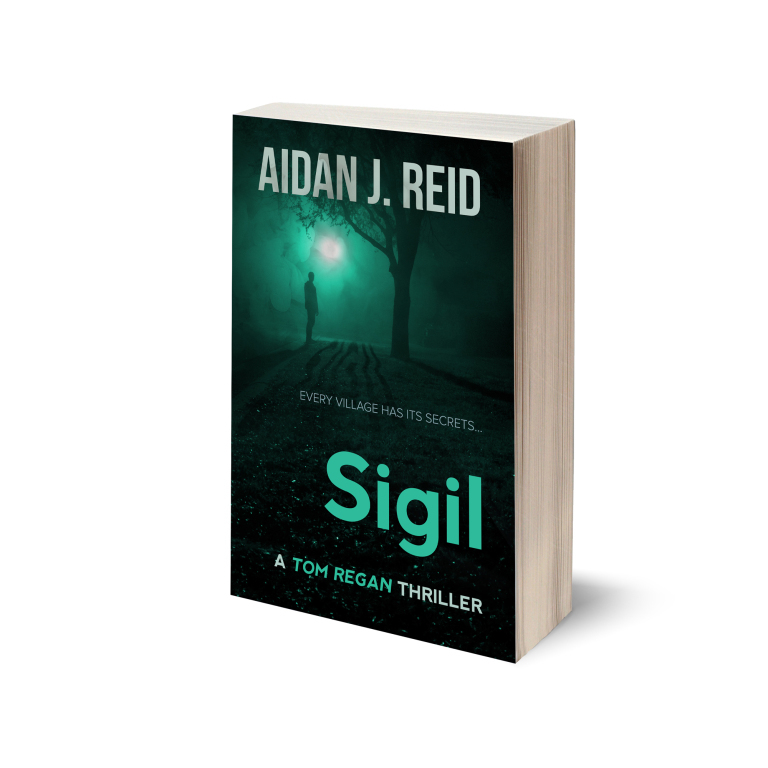 It’s been quite a while since I reviewed Irish indie author Aidan J. Reid’s mystery novel Sigil. The book introduced Father Tom Regan, a Catholic Priest with a nose for mysteries, and particularly the bizarre. 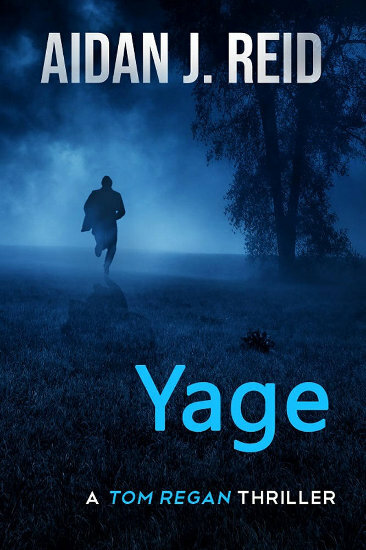 Yage is the second in the “Tom Regan Thriller” series, and this time, Reid takes it up a notch. Based on his own drug use experiences under somewhat similar circumstances, Reid takes Father Regan to Peru, ostensibly to meet his young niece Louise, who has been hiking throughout the Peruvian region, but also to process his own crisis of faith, particularly in light of the conclusion of the Sigil ordeal. What Regan finds is a mystery he didn’t ask for and one that puts the life of his niece at risk. Slowly putting the clues together, he finds that Louise is only one of a number of victims of a mysterious shaman, who is somehow tied to the Yage tourist trade, people from western nations who pay local companies to administer and monitor their use of a hallucinogen for a variety of personal purposes. Tom himself must undergo this challenge in his desperate efforts to find his missing niece. Along the way, he finds unlikely allies in the form of a local priest, other tourists, and another young woman he must use, and put at risk, in order to discover what happened to Louise. It had been five years since the Collier Xenogenics Lab had been shut down. It still sits vacant and the government is even afraid to demolish it, not convinced that it’s been completely sterilized. Fifty-seven men and women and several hundred lab animals from chimps to mice all died when the genetically engineered virus named Lot 476 escaped into the main complex through a faulty seal. Fortunately, 476 could survive in an open atmosphere only thirteen minutes but it only took four minutes to kill. 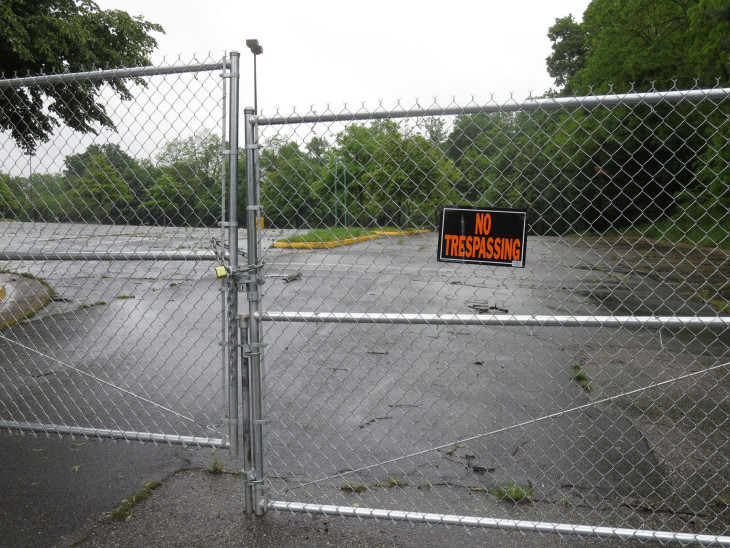 Joseph Morgan stood outside the abandoned parking lot looking at the “No Trespassing” sign and seeing the locked gate. He shuddered at the memory of those Fifty-seven bodies bleeding out on the floors of the three labs in the building as he regained consciousness. In a panic, he ran not considering the consequences of opening the outside security doors. Why should he? His wife was just showing him around where she worked. But that was after 476 itself had died. No one knew Joseph was the only survivor of the accident. However, he knew that the cancer that was killing him five years ago had completely vanished and he hadn’t aged a day since. I wrote this for the Sunday Photo Fiction Challenge for February 18th 2018. 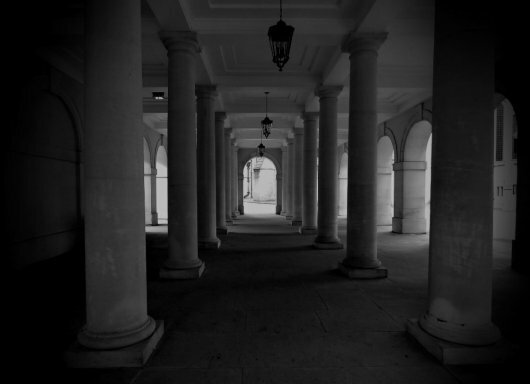 The idea is to use the image above as the inspiration for creating a piece of flash fiction no more than 200 words long. My word count is 196. Last night, I watched the 2011 film Contagion for the first time. It has what is referred to as “an all-star cast” and actually the writing was really good. I looked at a few reviews and its technical accuracy while not flawless, is better than most medical thrillers. With that in mind, I decided to create my own little medical disaster, one that killed fifty-seven people and cured one. 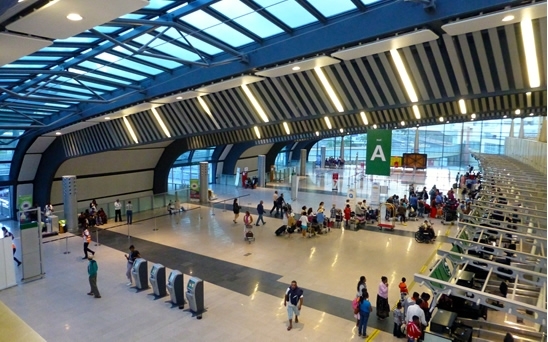 Ian Dennis hated long flights, not because he didn’t like to travel but because he could never sleep while in transit. He was here to work and jet lag would get in the way. True, there was only a three-hour time difference between London and Mauritius, but the flight was nearly twelve hours long. Fortunately, he’d been able to get a direct route from Heathrow, otherwise he might not have gotten here for another twelve. Everyone who saw him arriving at Sir Seewoosagur Ramgoolam International Airport supposed Dennis was just another British tourist on holiday. Only a few police officials knew the MI6 agent was here to investigate the murder of an accountant from Scotland and the brutalization of her autistic son. The recent string of robberies was unusual for a small island but he suspected and feared this might not be a robbery. “G’morning, Dennis. Good flight?” He and Winston Permalloo shook hands. They’d met on several previous occasions and Ian liked the younger man who currently was a lieutenant on the local force which handled police, security and military functions on the island. His superiors knew Permalloo to be the only covert agent native to Mauritius, but what few of them suspected that he was also an MI6 double-agent. When I first created this blogspot and shamelessly began to promote it, a number of people commented and followed me, including 33-year old Irish thriller author Aidan J. Reid. I followed his blog back, and by the by, I saw that he had promoted his latest novel Sigil by offering the eBook on Amazon for free (but only for a limited period of time). I hadn’t read a mystery in decades and wasn’t sure how I’d experience “Sigil,” but I decided to download it onto my Kindle Fire. The novel starts with a bang. Really, I was hooked from the first few pages on. Sigil chronicles the activities of Catholic Priest Tom Regan, who is the Parish Priest of the small town of Ballygorm. What appears to be a tragic suicide becomes a mystery wrapped in intrigue as Father Regan, walking in the footsteps of his favorite television detective, uncovers a conspiracy not just to hide a murder, but something much more terrifying. One step at a time, Regan unravels years of secrecy and sinister plots, revealing that the sleepy farming community of Ballygorm is anything but the idyllic rural setting it appears to be. 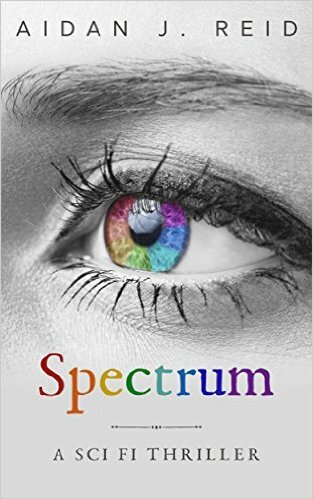 I just finished reading Aidan J. Reid’s new short story Spectrum, a Sci Fi Thriller (you can find out more about it at his blog). While it advertises itself as a thriller, from the very first sentence, I got the feeling I was reading a horror story (spoiler alerts throughout–you have been warned). A mysterious medical outfit is offering the homeless money and opulent living conditions in exchange for them volunteering for human experimentation of different products. We never learn out protagonist’s name. Just that she’s a 26-year-old homeless woman with an alcohol addition. Apparently she, along with others off the street, qualify as test subjects for rather ill-defined experiments, ill-defined until the “treatments” are actually applied. The majority of the story is a set up to the actual procedure and aftermath on her eyes. From what she describes, the reader will have a fair idea of what was done with her, but to her, it was still a mystery. I was engaged in the story to nearly the very end. Her eyes had been changed. True, she’d been alienated from most of the other patients except for Tyler, but she was hopeful not only that her sight was restored, but that the people who used her as a test animal, BioLuminary, were to actually give her a job, not requiring that she undergo any more medical procedures. For her, everything seemed as if it were looking up. For the reader, we’re waiting for the other shoe to drop. And drop it does. In fact, it’s so abrupt that I was shocked right out of my involvement in the narrative. Wait a minute. What happened? Only vague references to “reptiles” and the poor woman’s all too sudden suicide. Aiden really had me going up to this point. By page count, I could tell the story was about to end, but it ended in a way that left several points completely unresolved.